Get an Edge on the competition with NVIDIA RTX 2070Packed into this 17” ASUS ROG Strix SCAR II is a NVIDIA GeForce RTX 2070 GPU and 8th Generation Intel Core i7 processor, ROG Strix SCAR II brings even more power and style to high end gaming. This gaming laptop boasts the world’s first 144Hz super-narrow-bezel display with an ultra-fast 3ms response time for visuals with unmatched smoothness and response. Game at your best with high quality gaming components but to keep you in the game. ROG have added in their RangeBoost technology which uses multi-antenna Wi-Fi to provide 30% more range and fewer connection drops. The exclusive HyperCool Pro cooling system allows you to fully unleash the potential of the high-performance CPU and GPU letting you get that extra added edge. The ROG Strix SCAR II offers an unstoppable combination of high-performance graphics and ultra-fast display in a compact design. In addition, the all-new Armoury Crate utility offers one-click access to system settings and Aura lighting effects. 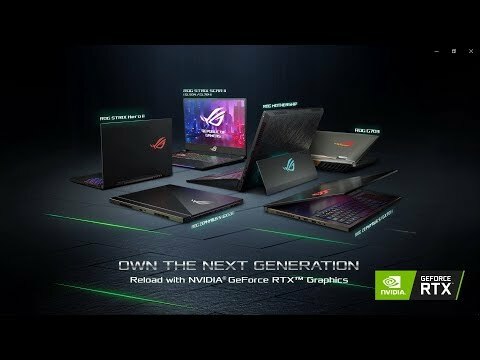 Greater Clarity and Smooth Gameplay The ASUS ROG Strix SCAR II features NVIDIA GeForce RTX 20-Series GPUs, the GeForce RTX 2070 is one of the latest graphics cards from NVIDIA and provides more performance from the previous generation of GPU’s, enabling the newest visual effects and rendering techniques for gaming experiences that are more realistic than ever before. 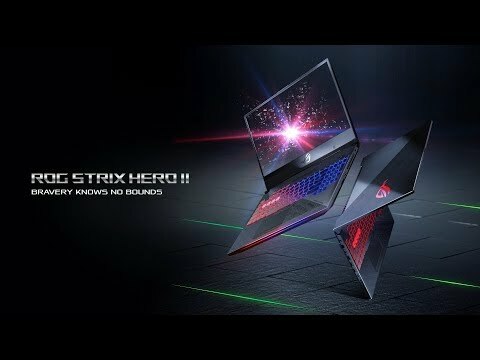 Powerful CPU for an Amazing Gaming Experience ROG Strix SCAR II is powered by up to the latest 8th Generation Intel Core i7 Processors for extreme performance. 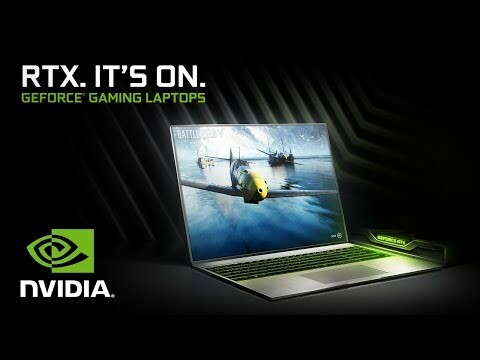 You can even upgrade your arsenal with a NVIDIA GeForce RTX 2070 GPU, pairing that with an 8th Generation Intel i7 processor the combination of these two components working together will bring you combat-proven computing power to rule the game. Super Narrow Bezel with 144Hz Refresh Rate By using a super-narrow-bezel display, there’s less distracting frame, so the chassis dimensions can be reduced to the minimum. To give you the maximum advantage in combat. The ROG Strix SCAR II enables you to see more clearly, with an IPS-level display, 144Hz refresh rate and a 3ms response time that will deliver smooth visuals, and will help in reducing ghosting and motion blur. Brought Together for an Unbeatable Gaming Experience Having beautiful graphics is one thing, but being able to get in and out of your games is another, no one wants to be left waiting, this is where the ASUS ROG Strix SCAR shows off, combining an ultra- fast M.2 SSD with a Hybrid SSHD means you get the best of both worlds, maximum storage and super fast loading times. Convenient NVME PCIE SSDFitted with a lightning-fast 512GB M.2 NVMe PCIe SSD. It offers super-fast data access speeds so everything you do feels faster and smoother. FASTER LOADING TIMESMainly used as a secondary storage to support an SSD, the 5400-rpm solid-state hybrid drive loads games more than 2x faster compared to standard HDD's. Personalize your system with Aura Sync Aura Sync technology gives your entire gaming setup a consistent look and feel. Match the colors of the ROG logo, keyboard, light bar on ROG Strix SCAR II with Aura Sync-supported gaming mice, headsets, and other peripherals. The full spectrum of colors and seven different lighting modes can be easily accessed via the Aura control panel. Improves Airflow and System Durability The HyperCool Pro thermal system has a host of features to help ROG Strix SCAR II get the most out of its GPU and CPU. There's an extended cooling plate to spread heat evenly, and two high-performance 12V fans that deliver stronger airflow and increase air pressure to ensure a stable system even under heavy loads. HyperCool Pro also includes the patented Anti-Dust Cooling system that expels dust particles and dirt to improve system reliability and durability. Desktop Gaming Inspired Keyboard The new ROG Strix SCAR II layout follows the design of the best desktop-gaming keyboards. That means the entire keyboard module is now designed for the way your fingers are used to playing, with gaps between the function keys for easier identification, and isolated arrow keys for the most accurate fingertip control. The space bar has also been extended and reshaped for more comfort and fewer misses giving you the most accurate fingertip control. Side-Firing Speakers for Improved Situational Awareness With this immersive stereo audio, delivered through two expansive side-firing speakers even the quietest sounds can be heard, so you’ll pick up on every hidden movement. Smart-amplifier technology monitors the audio output and makes real-time adjustments, so you can pump up the volume without worrying about damaging the cones and that makes output up to 200% louder than before, with increased dynamic range and bass. PC STATUS INFORMATION AT YOUR FINGERTIPS To ensure the very best gaming experience, ASUS have redesigned the Gaming Center control panel. The all-new Armoury Crate utility has a user-friendly interface that allows you to control and monitor system setting and performance more easily than ever before. Changing system profiles and fan speeds takes only a couple of clicks. You can even save up to four profiles that automatically load specific settings for different games. Link Armoury Crate to your mobile device by simply scanning a QR code, putting complete control in your hand. Upgraded Fans Improves cooling efficiency The patented Anti-Dust Cooling system expels dust particles and dirt to improve system reliability and durability. In addition, the two main fans have been upgraded to 12V and spin much faster than regular 5V fans, boosting airflow and increasing air pressure to improve cooling efficiency. Increased Surface Area for More Efficient Cooling The special copper alloy cooling fins used in ROG Strix SCAR II are just 0.1mm thin, half the thickness of regular fins. Narrower fins allow for more fins to be used in the cooling module, this increases the surface area for heat dissipation by up to 8%, while at the same time reducing air resistance by 7%. Select Different Modes for the Situation While the dynamic fans automatically adjust their speed according to CPU and GPU temperatures, you can select different modes to suit the situation at hand. Overboost is the most aggressive setting, with the fastest fan speed for the cooling required to fully exploit the power of ROG Strix SCAR II. Independent CPU And GPU Cooling The unique heat-pipe design cools not only the CPU and GPU independently to avoid thermal throttling, but also keeps chipset power components below 85°C increasing system reliability and lifespan. Mouse, headphones, bag? Because other sites mentions all of these and here I cant find anything about accessories. And other q would be, what speed that sshd have?